We are located on 4th floor of the Insperity Classroom Business Building (CBB). Parking available at the East Parking Garage. 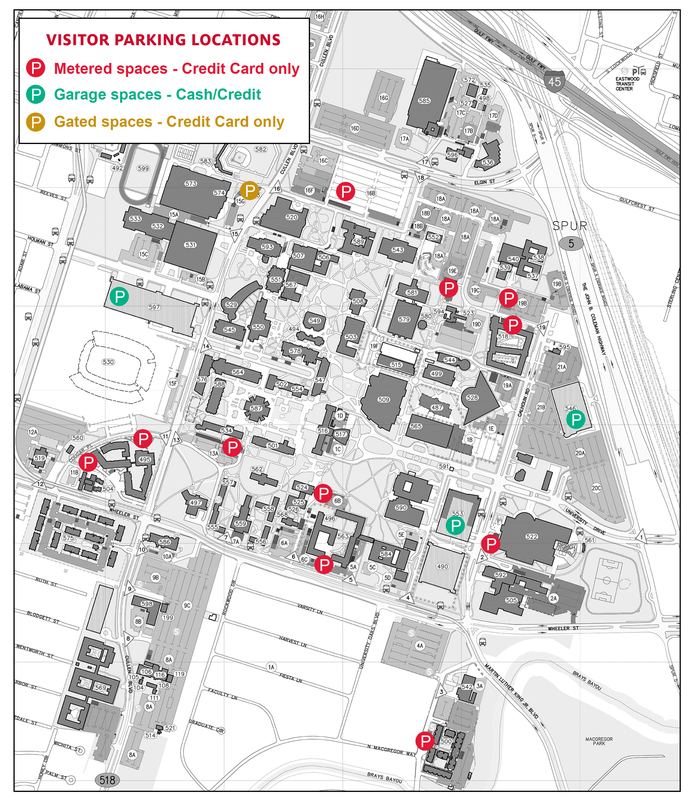 For Parking directions please view our parking map. The office is closed during university holidays and at 5:00 daily when classes are not in session. Visitor parking is available in the East Parking Garage, across from the Recreation and Wellness Center. At the first light, turn right onto University Blvd. At the stop sign, turn right. Stay to the right until you reach the back of the parking lot. Turn left. The first entrance to the parking garage is for Visitor Parking. At the first light, turn left onto Elgin St. At the second light, turn left onto Spur 5 feeder road. Continue on Spur 5 feeder 1/4 mile, turn right into Parking lot entrance where East Parking Garage is immediately before you. Entrance on left side is for Visitor Parking. For Hours and Rates, please visit the University of Houston Parking & Transportation Website.